January Journal: Day 24 — Ginger writes. Today is a day to practice being thankful. The sun is shining but my heart feels dark. Thankfulness is one way to open the blinds to let some light in. Going to sit out in the sun, like I will do in five minutes, is another. Friends and family who are praying for me. 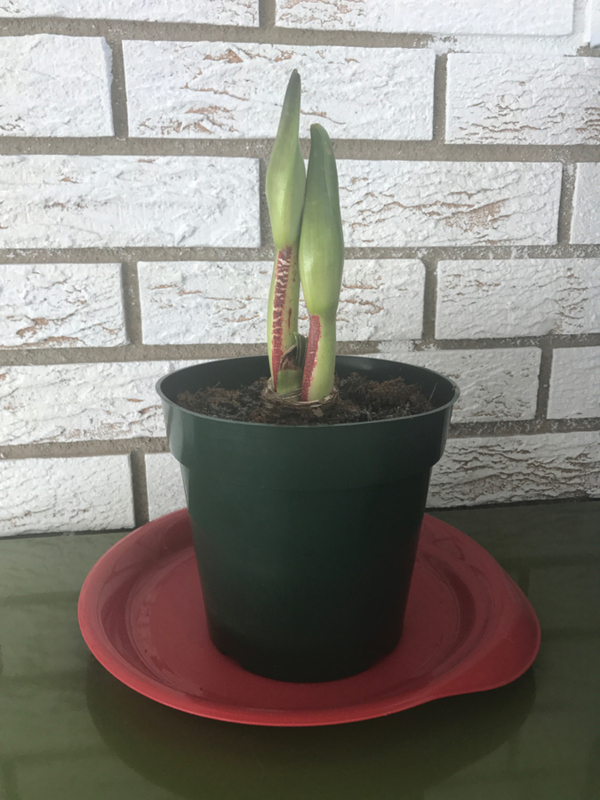 Watching the amaryllis bulb I got for Christmas start to grow. Having a meal in the crock pot. The Mother & Son book I'm reading. A great dinner conversation with friends last night. A great breakfast conversation with another friend this morning. Memorizing "The Road Not Taken" with Bauer. A quiet house and kids at school.